Tony Rousseau, proudly a self-made wine professional, recognized his infatuation for the wine industry in his early 20’s. Intrigued by the depth of both fine wine and the vineyard lifestyle, including the environment, process, planning, people and ultimately the fine wine result, passion fueled his need to know more. More than 30 years later, Tony has devoted his career to creating close relationships with preeminent wineries domestically and internationally. 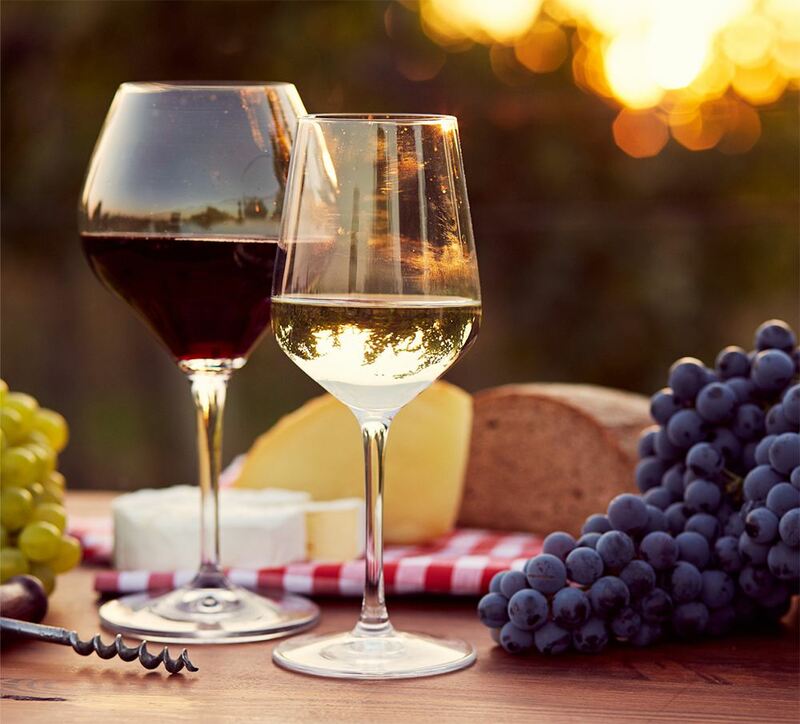 Surrounding himself with the best in the business, Tony has developed a sixth sense that connects wine to those who also appreciate that wine is part of their everyday lifestyle. Cheryl’s 20+ years in sales/marketing and relationship building bring a solid business balance to our shop. 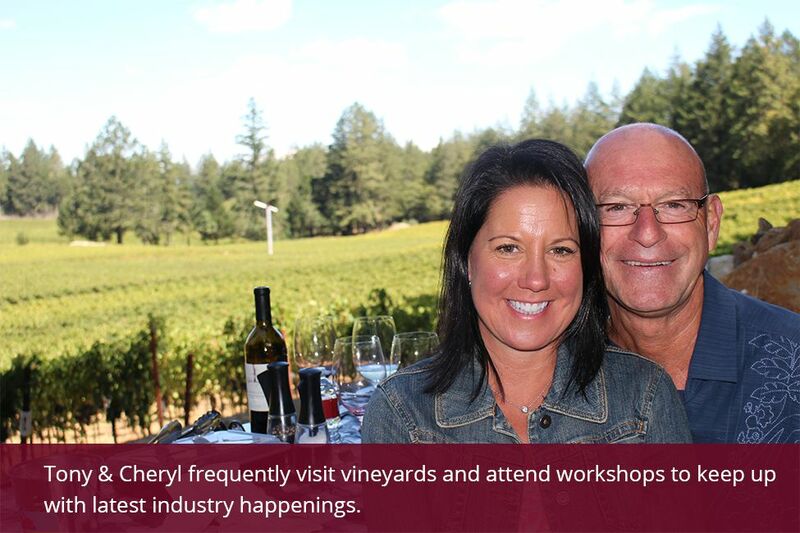 Cheryl also co-organizes and creates the popular in-house wine tastings, education series and private parties. She is a foodie, loves to cook and garden, and she’s an avid supporter in local farm to table philosophy. Cheryl is an intricate part in running the day to day here at the shop. Join Tony as he brings his many years of wine industry experience to our complimentary weekly tastings. Wines from around the world are selected to broaden your palate and increase your familiarity with the many varietals of today. Looking for a special experience? 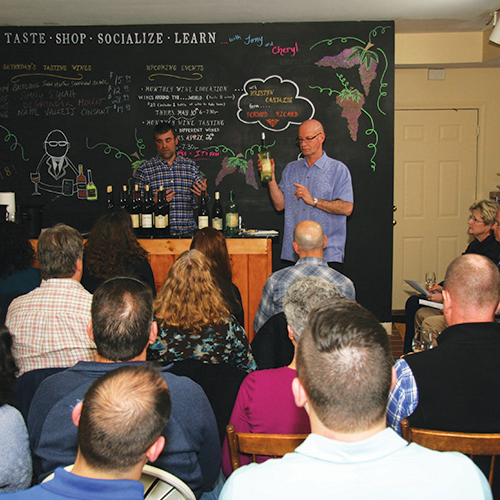 Tony offers private tasting sessions for small groups. Located in the beautiful historic district of Glastonbury, our shop offers the opportunity to select from a variety of fine wines at affordable prices. Looking for that special gift for a wine lover? 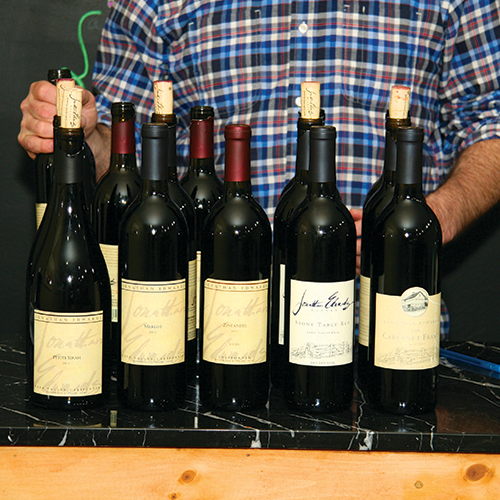 Tony will work with you to select the perfect vintage sure to impress. Entertaining guests and not sure what wine to serve with dinner? No matter what the occasion, Tony can pair a wine for the perfect event. Do you have a special event coming up? We offer private wine tastings for wedding rehersals, fundraising events, as well as special occassion preparation. We will ensure that your special occassion has the perfect selection and appropriate quantity for your guests. Contact us today to learn more. Online shopping coming soon. Sign up for monthly deliveries right to your doorstop. Subscribe to our email newsletter so you’ll be first to know when the online shop is available. Come join us for complimentary wine tasting events, every Saturday from 2-5pm. 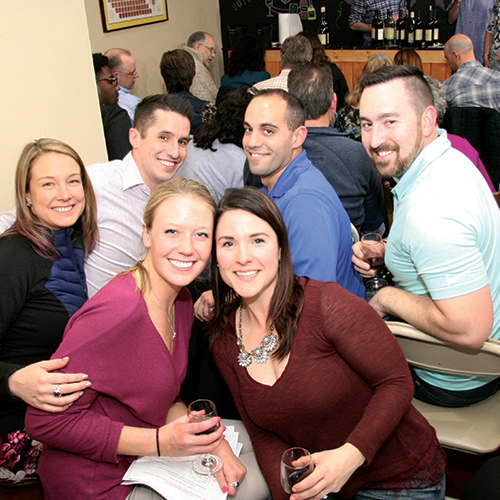 Sign up for our monthly emails to stay in the loop on all of our latest events, tastings and wine offerings. The Best Wine Shop in Town. © All Rights Reserved. This website was designed and developed by Pixel & Code Studio.